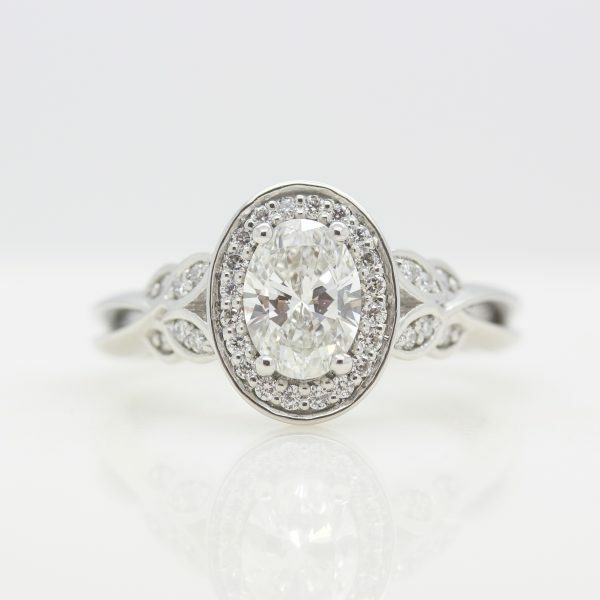 An ethical engagement ring, crafted especially for you. We believe ethical sourcing should be a hygiene factor—something our customers should simply expect from us and not something we differentiate ourselves on alone—so we prepared a comprehensive guide to our supply chain and how it may affect your decision to shop with us. 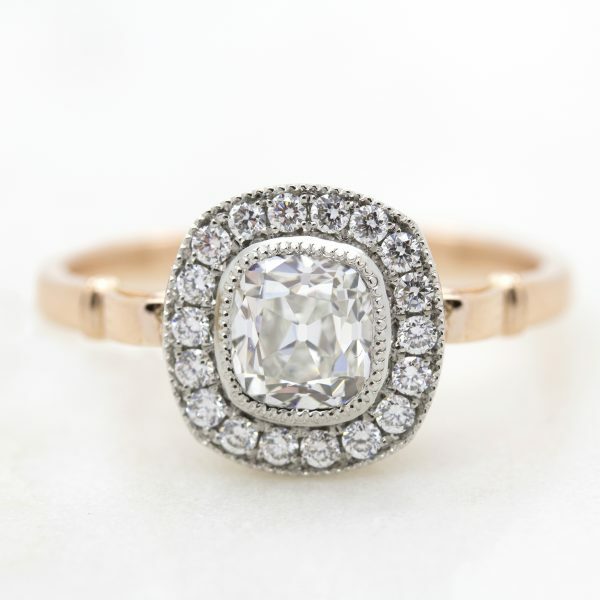 Your ring is a token of something so intangibly wonderful and so earth shatteringly important that you chose to have it made from the most scarce and exceptional materials on earth: diamonds and precious metals. This is the simple story your ring tells—that there is no other love on earth like yours. 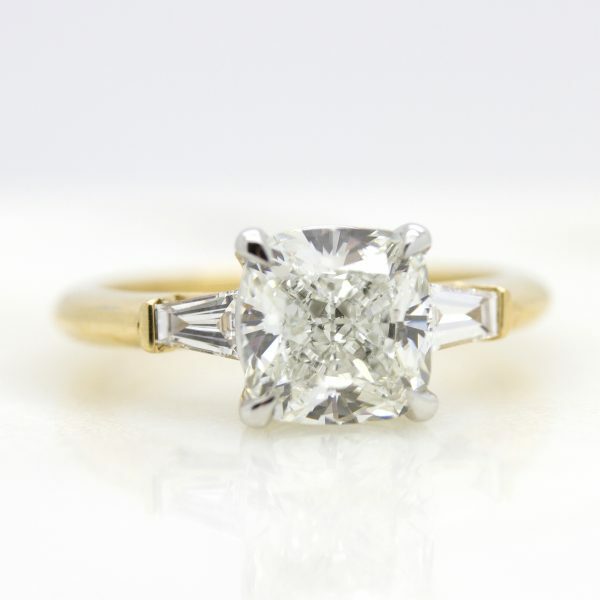 With this in mind, we know how important it is for you to feel confident that your ring was sourced from countries and businesses that have ethical policies and business practices, so below we share how we do things at Taylor & Hart. 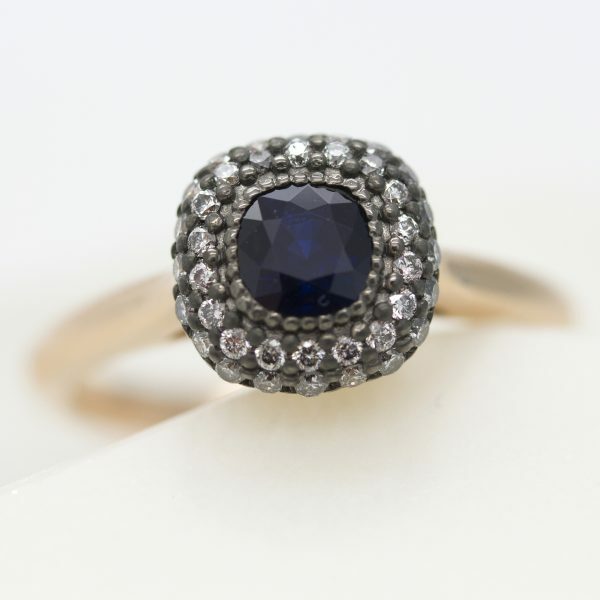 Get inspired by our ethical engagement rings, individually designed and set with ethically-sourced gemstones and diamonds. why should i care about ethical sourcing? What does "ethically sourced" mean? We devote so much time to determining the cut, color, clarity, and carat of our diamond… and determining where our diamond or gem came from is equally deserving of our time. 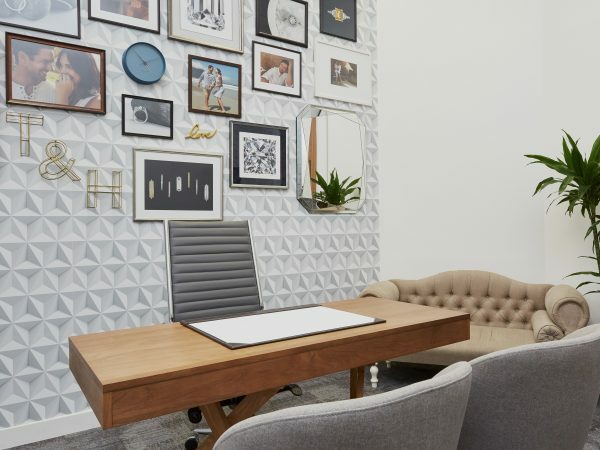 This is why we’re opening up our business practices to show you how we do things at Taylor & Hart, and to ensure you have peace of mind when purchasing from us. But why should you care about the ethical sourcing of your materials? You sleep soundly at night, knowing you purchased a piece of jewellery that not only averted funding violence, but you may have actually helped people in an underdeveloped country raise their own or their family’s standard of living. That’s right: your engagement can help someone else, while still being your moment. You prevent tarnishing a monumental moment in your life with a product that has not been ethically sourced or crafted. You vote with your dollar. You help improve the transparency and ethics in sourcing simply through your wallet. One of the greatest moments of your life can also serve as one small step towards a better world. You learn. Knowledge is power. 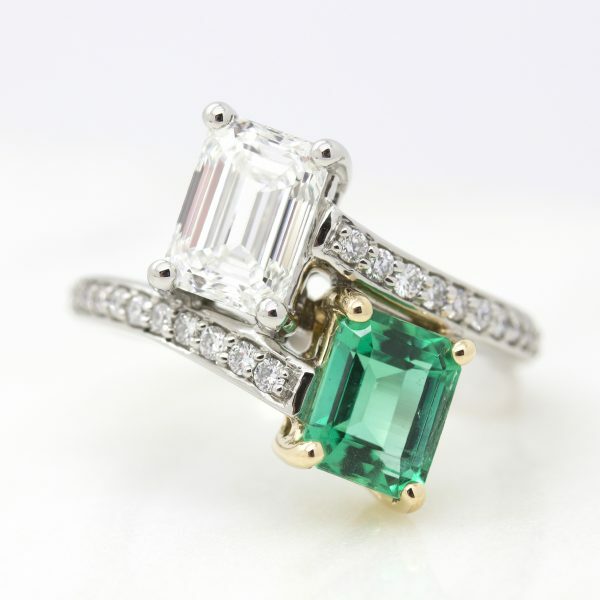 Making the right decision, when it comes to such a high value purchase, is knowing you had all the facts about the jewelry piece before you placed your order. 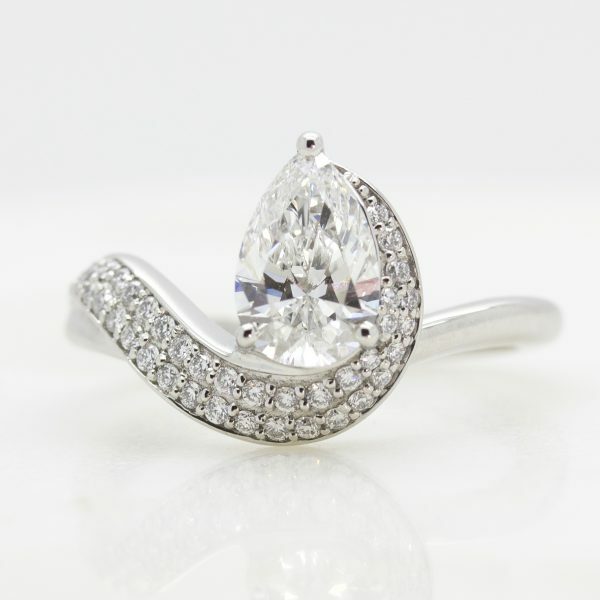 What’s a conflict diamond and what do we mean by “ethically sourced”? 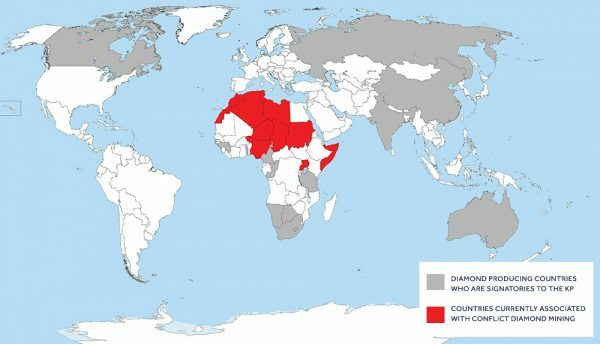 A conflict or ‘blood’ diamond is a diamond that comes from areas—particularly in central and western Africa—controlled by rebel factions opposed to recognised governments and are illegally traded to fund war and violence. What does it mean to purchase a blood diamond? Leonardo DiCaprio helped bring the term to the attention of the media and general public thanks to the 2006 Oscar-nominated film, Blood Diamond—but is this a factual representation of the diamond industry? Well, some parts are, and some are not. We would like to share with you the “real” status of conflict diamonds, both historically and their status today. In the early 90s, civil war broke out in Sierra Leone, and thousands died in a war that spanned over a decade. Wars are expensive to maintain and sadly, this one was partly financed by the illegal trade of diamonds, the proceeds of which financed the purchase of weapons which allowed the war to continue and lead to countless deaths. Conflict diamonds have also sustained violence in Angola, The Ivory Coast, The Democratic Republic of the Congo, Liberia, Republic of the Congo, and Zimbabwe. Nikolay sheds some light on the dark, dusty corners of the industry that no one seems to want to talk about. Sure, the Sierra Leone civil war ended in 2002, but insurgent violence and injustice that still continues to slip under the radar. The problems that remain today have evolved and adapted to our ever-changing world, but that doesn’t change the fact that they’re still unsolved. The Kimberley Process is made up of 80 participating countries representing most of the nations involved in the diamond trade and it has successfully reduced the conflict trade to less than 1% in the global diamond industry. However, it is not perfect, and it does have its loopholes. Wait… is the Kimberley Process enough? Because no one can force the countries in conflict to join the Kimberley Process. Some have politely declined that invitation. Plus, conflict diamonds continue to enter the trade even from participating countries due to the lack of regular, independent monitoring. As in many industries, there are unethical people working in the diamond trade who see these loopholes as opportunities to slip conflict diamonds into the lawful trade—and they score immense profits by doing so. Without regular monitoring—meaning expert, unbiased, review of a country’s national control systems at pre-established intervals—the Kimberley Process isn’t going to be enough. Lab-grown diamonds are made in labs using a range of techniques. These laboratories either replicate the high pressure and temperature found in the Earth’s mantle where natural diamonds are formed or they use super heated gas to grow the diamond. 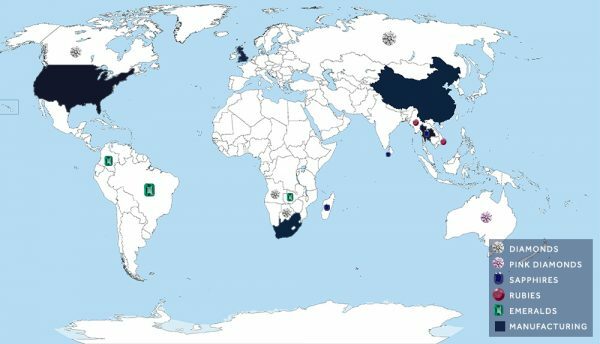 However, because these new lab-grown diamond companies don’t yet have reputations to maintain, we’re treading carefully in selecting which of these suppliers to partner with. 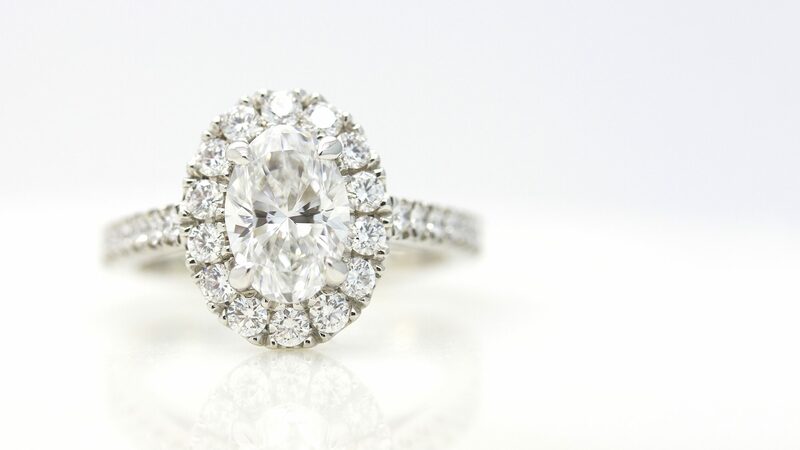 We’re currently offering lab-grown diamonds sourced through one supplier and you can find out more about our lab-grown diamond offering and their pros and cons here. 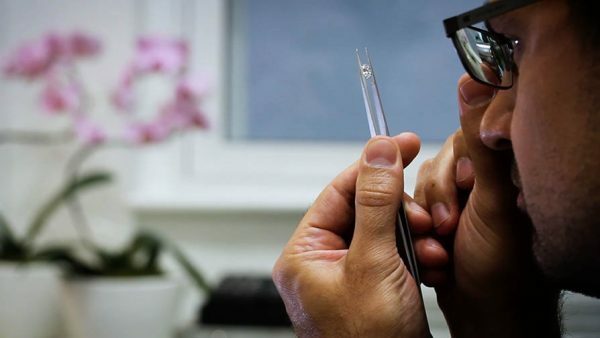 Like mined diamonds, lab-grown diamonds are made from carbon, but just like flat-pack plywood furniture, there simply isn’t as much emotional and financial value in something made in a lab as there is in its rare and traditionally sourced counterpart. 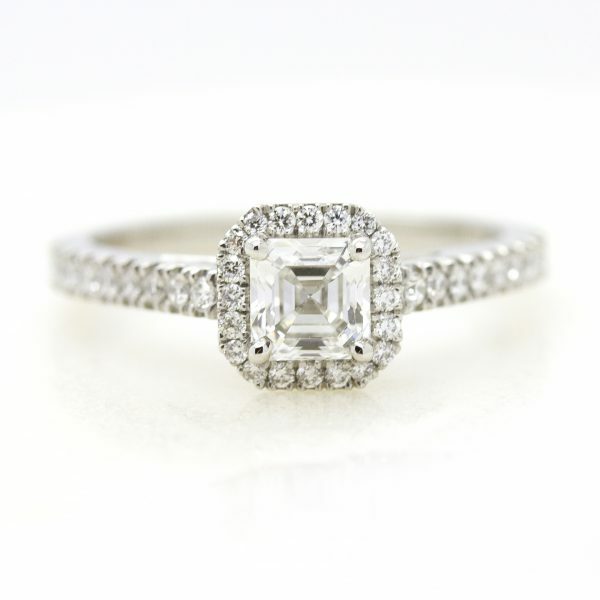 At Taylor & Hart, we are fascinated by the story of each mined diamond. 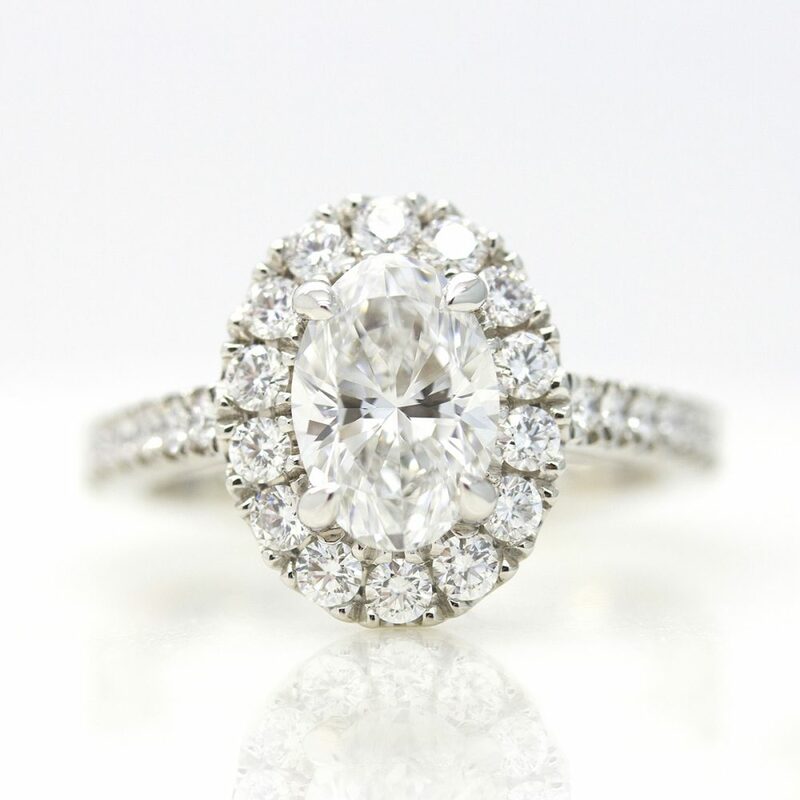 What better symbol for your love and commitment than a diamond formed in the heart of the earth that has endured for millennia through the harshest of conditions? Diamonds are actually a source for good in most countries that make up the supply chain. Negative media rarely mentions this, but the truth is that destroying the natural diamond industry would be detrimental to the incomes of many people all around the world (from the people who work in the mines, to the polishers and cutters who transform the rough diamonds into the ones we find in our jewels). Natural diamond mining should, of course, be more regulated to protect and develop the communities where the mines are located. The lab-grown diamond industry hinders the opportunity to help and support countless communities, who depend on the natural diamond mining trade to earn a living. We think the solution is somewhere between the two, similar to the public-private partnership in Botswana. One of the most influential people in the fight against conflict-diamonds, Martin Rapaport, shares his opinions on this topic in the video below. 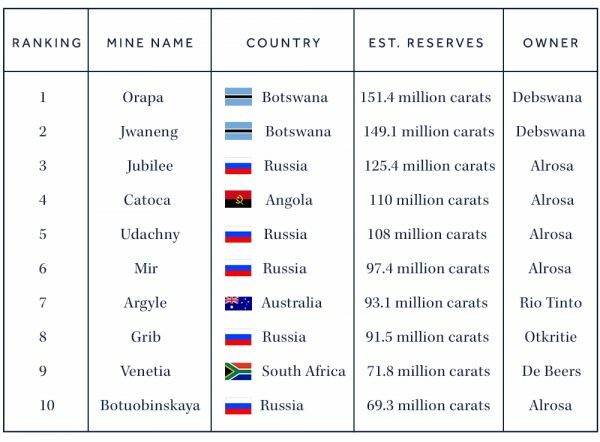 De Beers, a diamond mining company and one of the largest companies in our industry, has a public-private partnership with the Republic of Botswana Government, giving them partial ownership of their mines. De Beers then brought in the expertise to train locals in the surrounding communities, creating a secondary industry around the mining industry. They taught skills including diamond cutting, polishing, sorting, and grading. They also ensured that these locals included women, which paved the way for equality in an industry traditionally male-dominated. Thanks to the partnership, Botswana has gone from being one of the poorest countries in Africa to one of its biggest modern economic success stories. The diamond industry accounted for 35% of Botswana’s economy in 2016. And it’s no coincidence that people in Botswana are living longer than ever before—64.43 years (there’s still room for improvement), or that their literacy rate is higher than ever at 88.5%. The public-private partnership between De Beers and the Government of Botswana is a model for the diamond industry and how it can play a role in the success of underdeveloped countries by making a natural resource work for the people who live there. Where do we stand on ethical diamond sourcing at Taylor & Hart? So to be as transparent as possible, we are sharing as much as we can on where our diamonds (and diamonds in general) come from and what the supply chain looks like, in terms of the flow of both diamonds and colored gemstones around the world. Let’s talk about our supply chain. 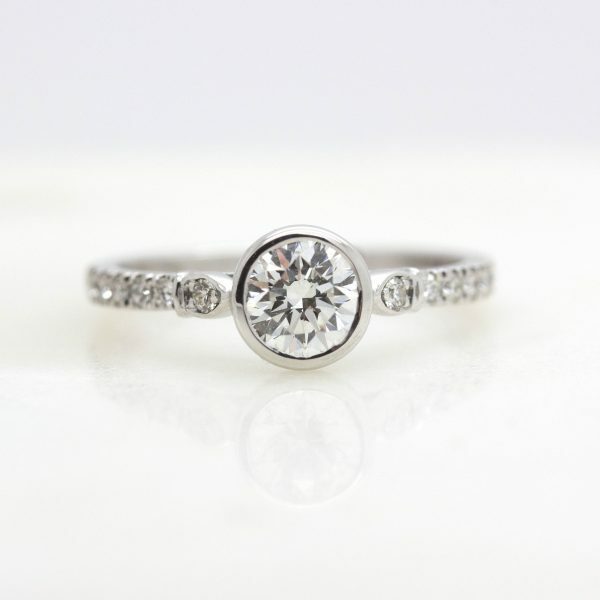 Each ring we deliver is crafted as a made-to-order custom piece therefore each ring requires different components and often is delivered to a different country, at a different manufacturing speed. As such our supply chain process varies from ring-to-ring depending on the requirements. The standard process is to prepare the 3D design file in London, ready for 3D printing later in the process. We then send the file to a reputable production partner in China, which produces jewelry and rings for a number of famous brands. The 3D printing is done there and the 3D wax is cast into metal. They may also do some of the initial work on the ring preparing it for our craftsmen. 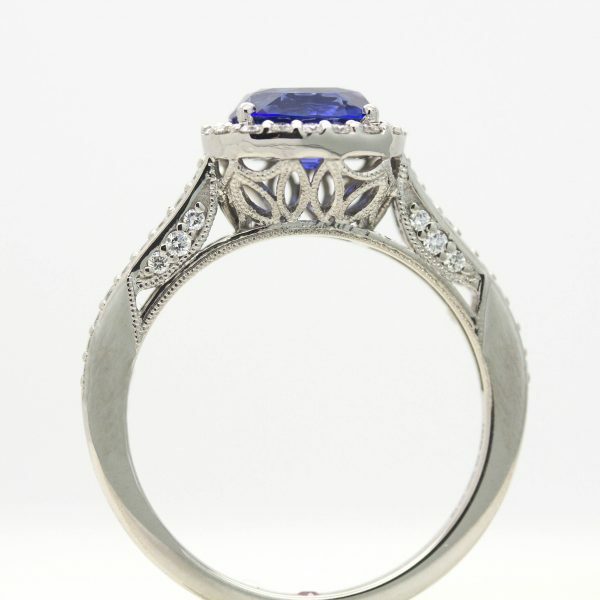 All rings are then sent for completion by hand to a workshop in the country of final delivery of the ring. So for US customers, all rings are hand finished in New York. 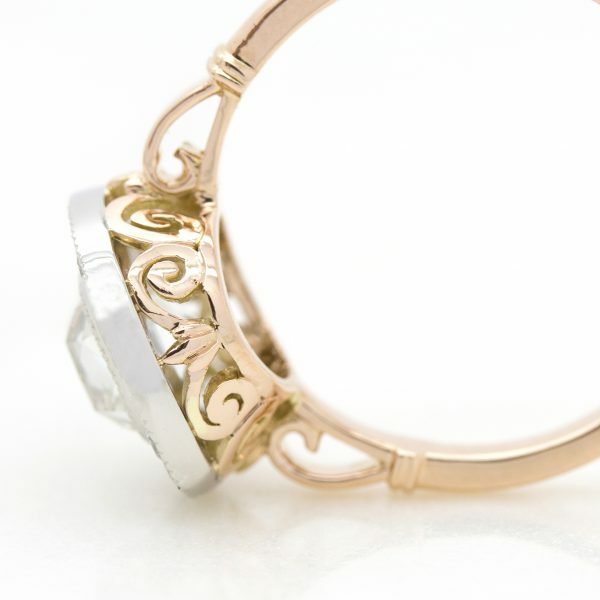 At this final stage, setting, polishing, engraving and quality control happens. We have worked with suppliers around the world including companies in India, the UK, Italy, South Africa, Portugal, Thailand and China, and we have found that our current partners produce the best quality for custom-made pieces, which is why they have already helped us craft and deliver over 2,500 pieces. 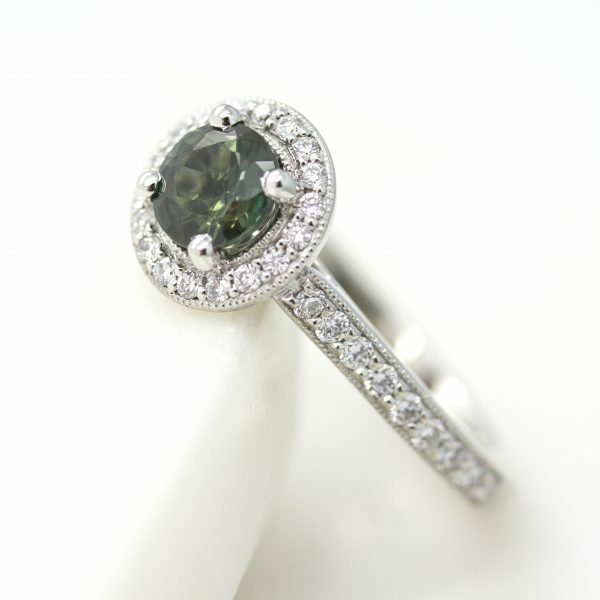 Want a ring or jewelry piece entirely made in the USA? 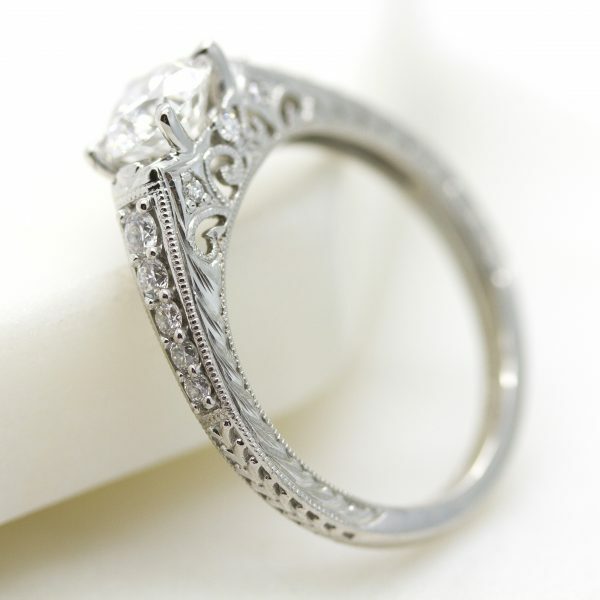 We can and do make about 30% of our rings entirely in the USA. From the 3D printing and the metal being cast, to the cleaning, setting and polishing, all carefully completed through local artisan craftsmen in New York. Just ask your design consultant for a “Made in the USA” quotation. A diamond begins its journey when it comes out of the mine. During the 20th century, as demand for diamonds grew around the world, original reserves ran dry and now the diamond supply chain looks rather different from what it once was pre 1900s. In Blood Diamond, De Beers was depicted as a monopolistic organisation seeking to limit the flow of diamonds into the market to keep their prices high. 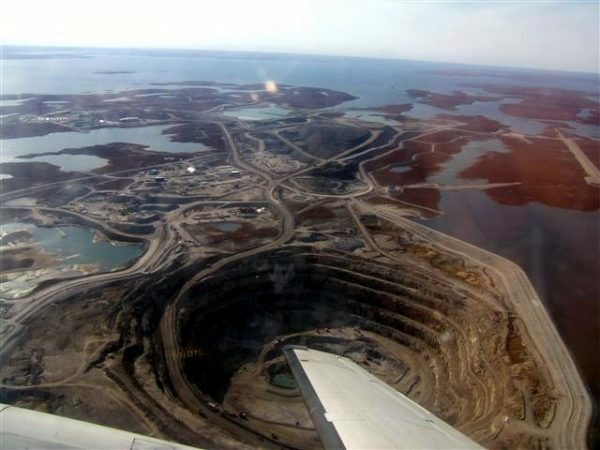 Whilst De Beers have led most of the diamond industry in the early 20th century, discoveries in Russia, Canada, and Australia led to the rise of several other diamond mining companies. Diamonds are now more of an oligopoly (like oil) than a monopoly. With demand rising around the world, and fewer and fewer new diamond reserves being discovered, the value of diamonds continues to steadily increase. 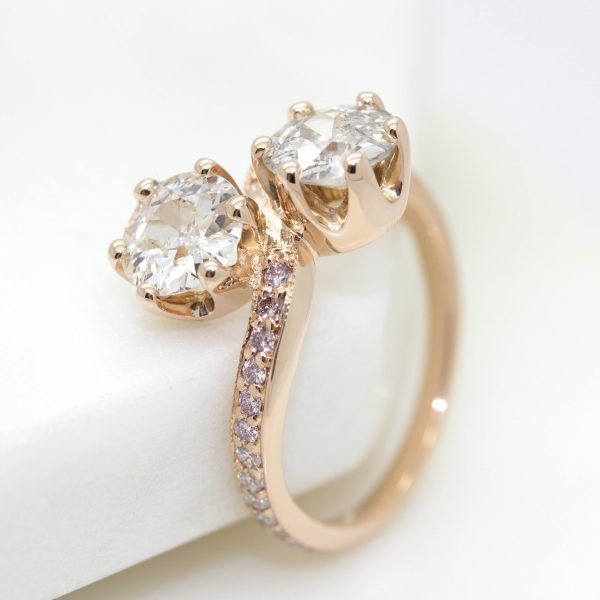 This seems to be the case with most commodities, in part due to globalization and in part due to some countries, like China, experiencing a rapid growth in their demand for fine jewelry. We’re sure you were surprised to see some of the countries on this list, like Australia and Russia. 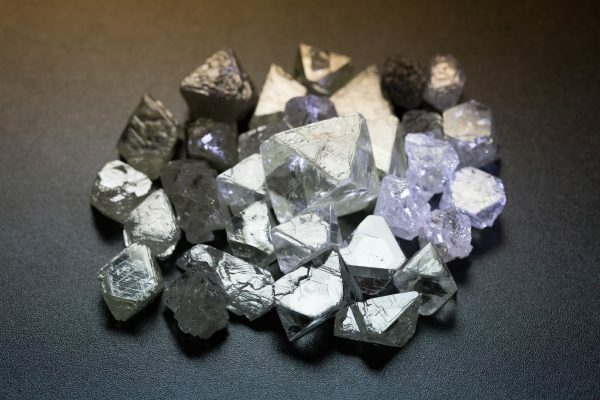 Next, the rough diamonds are grouped and auctioned off to large diamond polishing companies, many of which are in India but they are also in Botswana, China, South Africa, the Middle East, and Israel, among others. As these diamonds travel the world, the Kimberley Process aims to track their progress through sealed parcels—the goal being to ensure conflict diamonds do not enter the supply chain. From here, the supply chain would traditionally fragment into smaller wholesalers who purchase from the polishing firms. Often these middlemen form a series of connections between polishing firms and the final jewellery retailers—each one making a profit on the sale to the next company down the chain. As you can imagine, this would mean that the price the final customer pays may be higher than if the customer were able to access these diamonds further up the supply chain. Enter the internet. E-commerce companies like ours purchase directly from the polishing firms. Because we do not hold stock—instead connecting directly to the stock of our partners—we are able to pass on the cost savings to you, our customers. Here is where we ensure we only work with the most reputable suppliers. 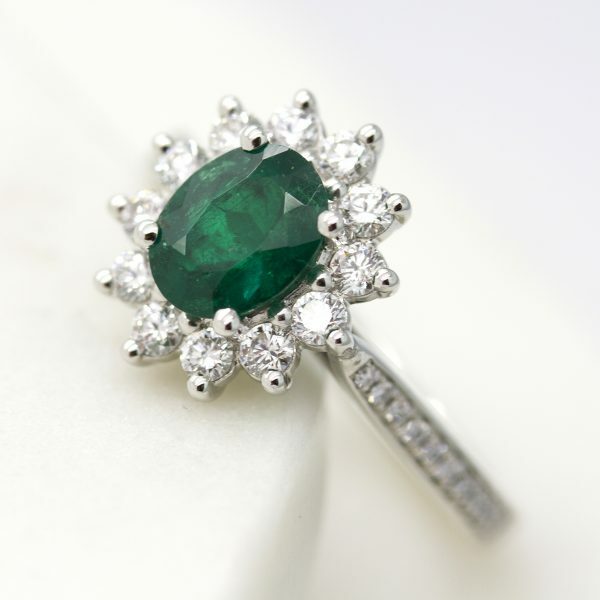 Not only are they compliant with the Kimberley Process, but they have healthy reputations to maintain when it comes to sourcing processes and transparency. We continue to nurture our relationships with them to ensure our ethical values are upheld. 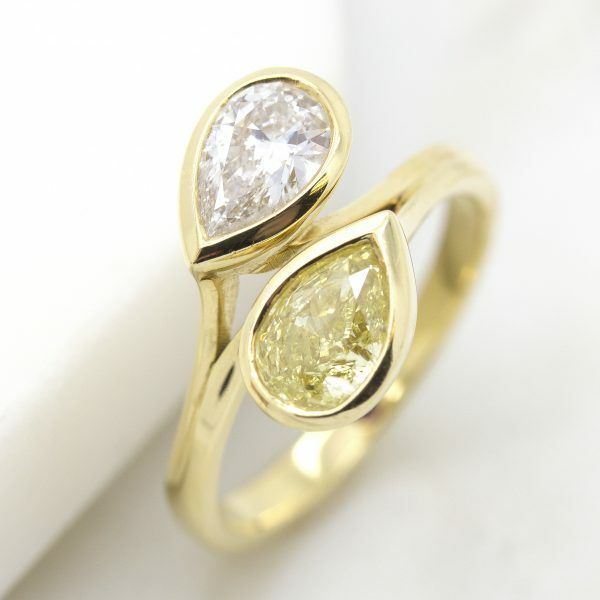 We are able to offer fair trade and recycled gold engagement rings to those who request it. As an industry, there’s a growing desire for the jewellery supply chain to be Fairtrade certified at each stage, to ensure ethical standards are upheld industry-wide. It’s a work in progress and something to continue working towards in the future, so that both the industry, and consumers, have a choice. We’re working with the very best suppliers—companies who buy diamonds only from countries compliant with the Kimberley Process. This is just a start, but we do rely on our partners having healthy reputations to maintain, and in part, we trust their systems, processes, sourcing policies and transparency. We’re actively making an effort to not purchase Zimbabwean diamonds, even though they are now deemed Kimberley Process compliant. We’re using the Kimberley Process only as a benchmark – but we’re actually more discerning than the process itself. 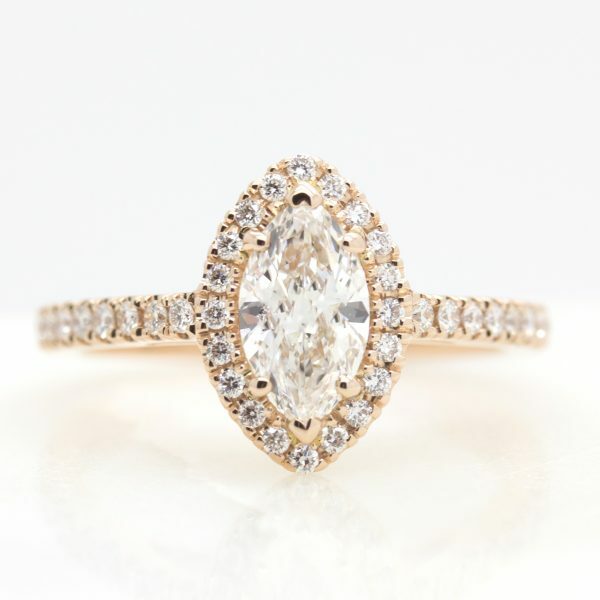 We’re offering CanadaMark diamonds as a center diamond option for those who are passionate about knowing the exact origin and history of their diamond. 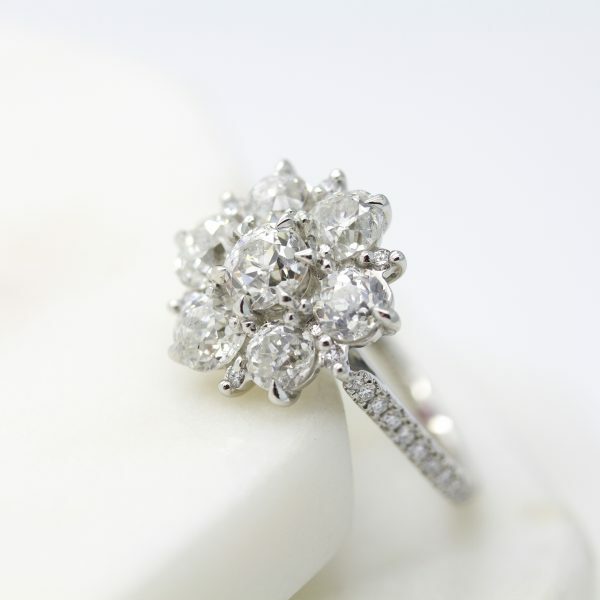 You can browse our range of CanadaMark diamonds here. These diamonds are mined in Canada and they receive an additional certificate and laser inscription from the CanadaMark organization – read more about this here. One of our investors and partners is Everledger. They’re working to transform the tracking of diamonds to the source. They’re using the innovative new Blockchain system (upon which Bitcoin is built) to securely track and store the data tracking diamonds through the supply chain, making that data available to customers and retailers. This system would also eliminate the demand for paper-based reporting using smart digital contracts instead—simultaneously eliminating the risk of tampering. As a relatively new company they have a long way to go, but we’re working closely with them to add further levels of transparency in our own sourcing policies. We acknowledge openly that this is not enough and that the definition of “ethically sourced” now spans beyond just blood diamonds and is applicable to all materials used, manufacturing methods, and even the policies and actions of the government regimes in every country that is a part of our supply chain. This acknowledgement is what transparency is. We’re doing everything we can right now, admitting that we’re not happy with the state of the industry at the moment, and chomping at the bit to do more at every opportunity we get. Know the facts. You’ve already taken the first step. You read this article! Bravo! But don’t stop here. Stay tuned into our sources, the news, and share what you’ve learned with friends, family, and colleagues. Knowledge is power! Ask for source certification. Sadly, there are plenty of companies who won’t be able to provide you with this information. We can and we will. Each diamond search for our customers is bespoke and asking for source certification is something we can include in our search criteria, by working with suppliers who can inform us of the country your diamond was mined from. 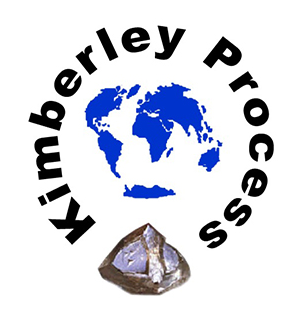 Canada was instrumental in the establishment of the Kimberley Process. The Dominion Diamond Corporation, owner of CanadaMark, has worked tirelessly to support the local native communities and mines by investing in infrastructure, education, healthcare, and training for their employees. We have a limited number of CanadaMark diamonds available. 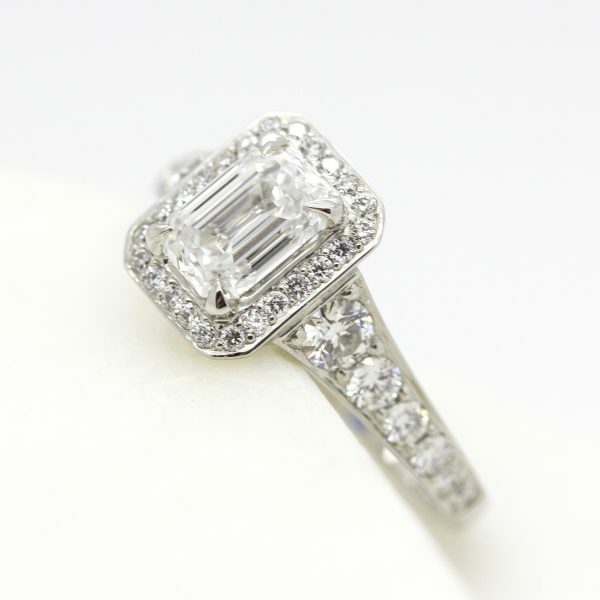 All you need to do is ask us if a CanadaMark diamond is available that fits your price point and search parameters. If there’s not one available, we can widen our search to include diamonds that we know to be from another country that fits our “ethically-sourced” criteria. 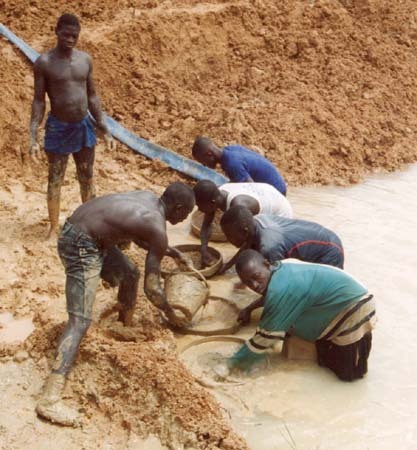 We’re on the front lines of the transparency revolution in the diamond trade because we understand the unique power a diamond can have—for someone like you looking for a beautiful jewelry piece or engagement ring with a clear conscience, but also for the family in western Africa whose livelihood depends on an honest diamond industry. We have faith that you’ll choose to care. And we promise you can have faith in us to always do the right thing—never sacrificing our core value of transparency.